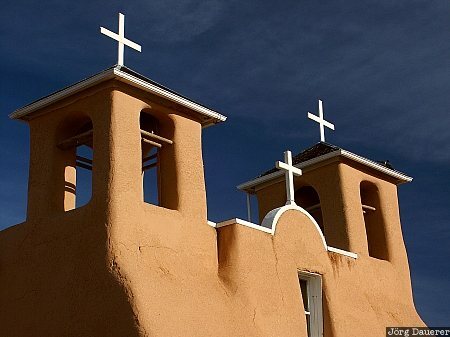 The towers of the adobe church San Francisco de Asis in Rancho de Taos. Rancho de Taos is in northern New Mexico, United States. This photo was taken in the morning of a sunny day in February of 2004. This photo was taken with a digital camera.